I used to be a 90 year old spoon! Now I'm a beautiful SUAICHEANTAS ring. Suaicheantas translates as Emblem and the design at the terminal end of the spoon stem is reminiscent of a heraldic symbol found on a coat of arms or shield. 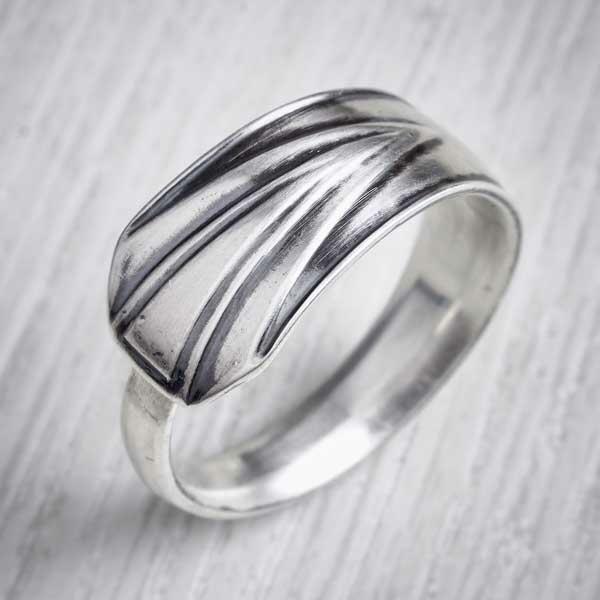 This ring was originally a teaspoon made in 1928 by Cooper Brothers & Sons in Sheffield. 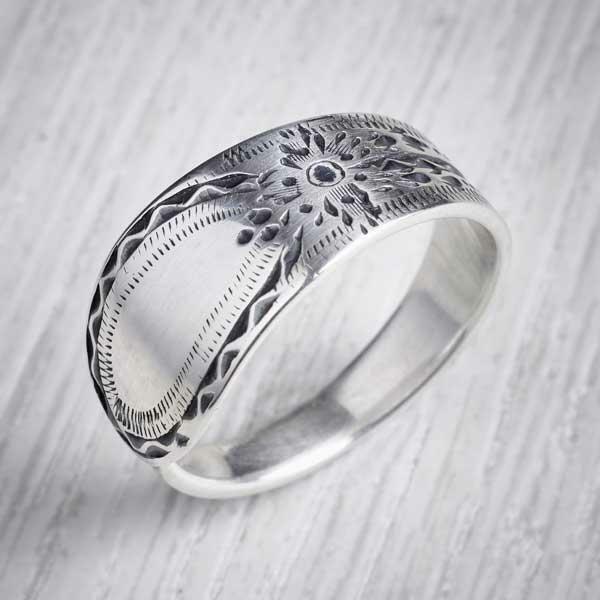 It is in a limited edition set of 6 rings and we only have two of this design left in stock. A solid silver vintage teaspoon, made in 1928, making it 90 years old!